But does it really have to end as only a dream for us? Yes, it can be a big risk using much darker paint colours than normal in your home. And no doubt you will be said to be being extremely bold with your spaces when you do so. There is a way to embrace this! Being bold with your spaces is a good thing. It keeps things interesting and more importantly, exciting. With the main colour trends this year revolving around deeper tones of blue, brighter emerald greens, aubergine-like purples and now with Dulux’s Colour of the Year 2019 released as Spiced Honey… There are lots of choices that will work for nearly every space in the home. 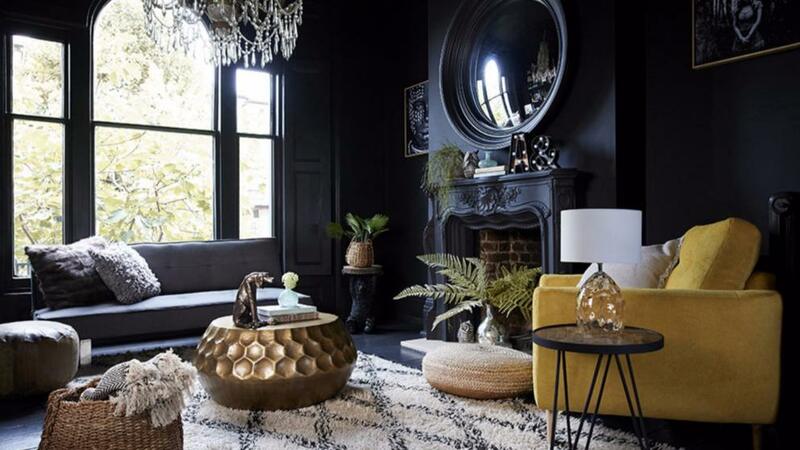 Let’s take a closer look at the “three tiers” of using dark colours in our homes and how some of the sought-after ones have been implemented into other projects… It may just spark some ideas for your next re-design at home. 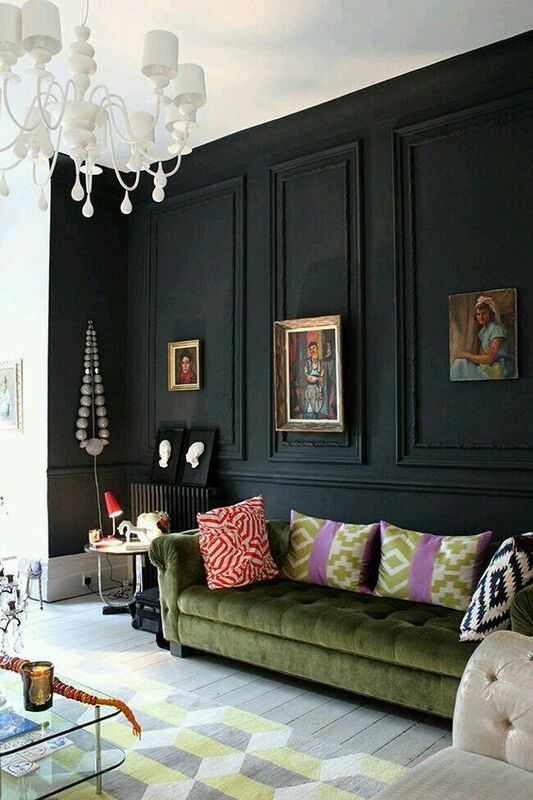 Being hesitant to use a dark paint colour on all four walls of any room is normal. 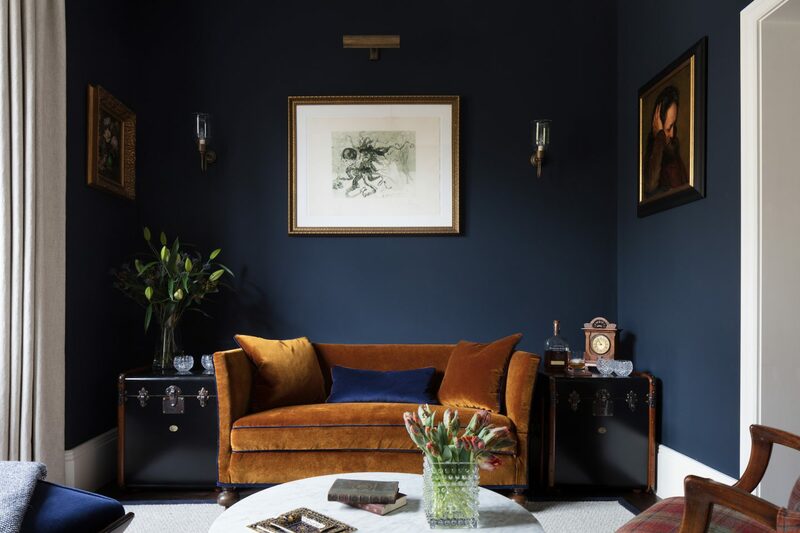 I always recommend to friends and family to start small with dark colours if they’re particularly worried to start with just one wall. Once you’ve seen it up on one wall, you can either pair it with a more neutral complimentary colour or continue to the other three walls. Always start small, and build it up. As they say, it’s easier to add more later than take it away – this is extremely relevant even for interior design. If you’re happy with your “one wall wonder”, I’d highly recommend taking the plunge in painting the other three walls in the same dark colour too. If you’re worries about losing the light and airy feel of your home, have no fear! For larger spaces especially, you will still have a light feeling of the space with the natural daylight you have, good lighting and the use of mirrors will come more and more important. For smaller spaces, a bit more caution should be applied. Evaluate the natural daylight you have coming into the space – is there enough? 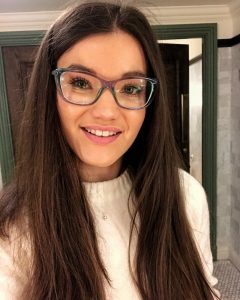 Do you have good lighting in addition to this? Will mirrors enhance the natural light in the space if a dark colour is added to all four walls? Think carefully about your smaller spaces. 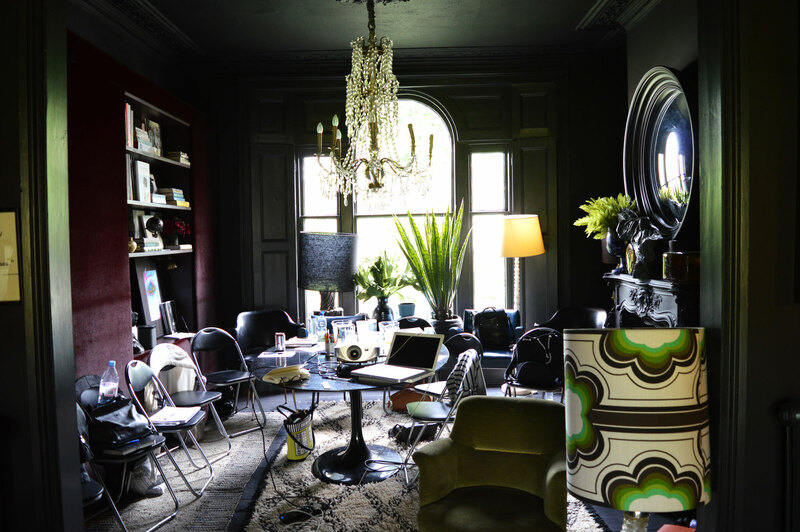 The ultimate way to use dark colours in your interior is to go all out. 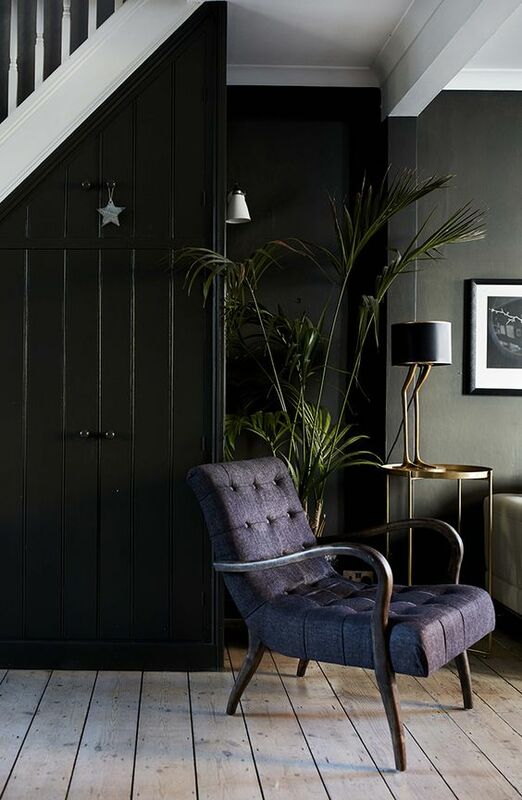 Taking inspiration from Abigail Ahern’s house, it’s safe to say that you can definitely create a cosy and warm home through the use of dark colours. She has had the confidence and courage to use not only dark colours on the walls, but in the furniture and accessories too. Navy, dark green and dark grey / almost black are the most popular dark colours to be used in our “all out” examples… And you can see why! All these colours enhance the sophistication of the interior and lets the accessories in the space do all the talking. 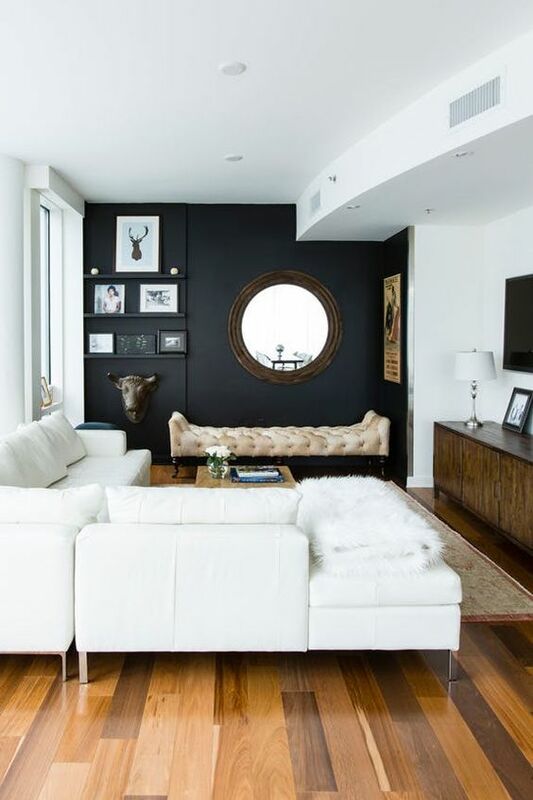 I hope this post has inspired you to have confidence with darker colours in your home! 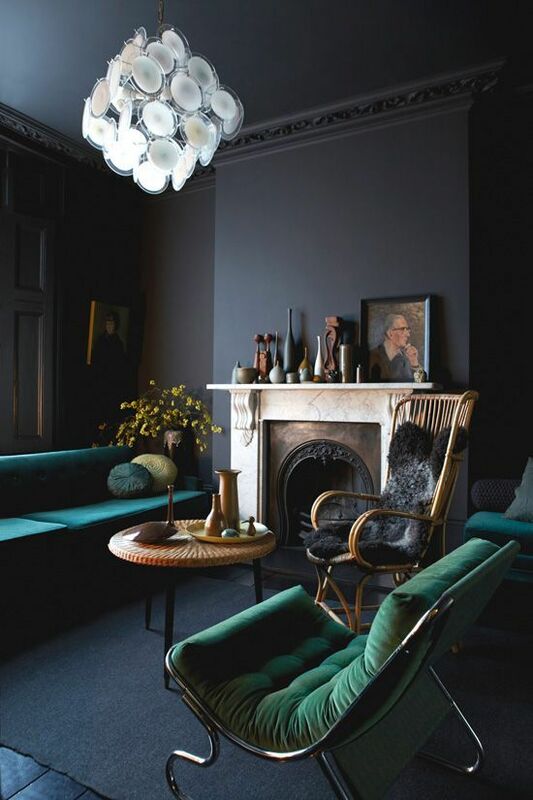 How have you used darker colours in your home? We would love to hear all about it and your thoughts on using dark colours in the comments below!